Description: This is an unfired Walther PP for sale chambered in 380 ACP. The barrel length is 3 7/8 inches long and this was manufactured in 1983. 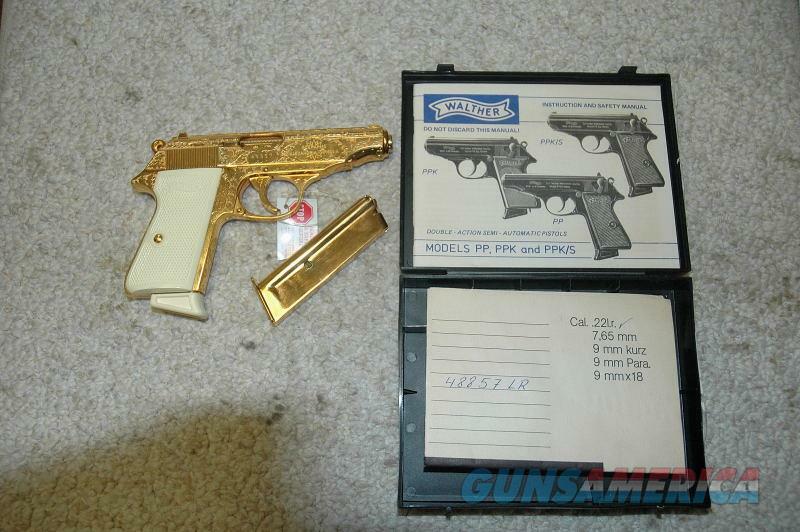 This gun was made in Germany and is fully engraved in a Gold finish. Everything is perfect on this pistol. Also included is the original box, Test fired target, Manual, and 2nd magazine. This consignment item is for sale in my retail store and could be sold while the ad is active. Please ask for more pictures if needed.